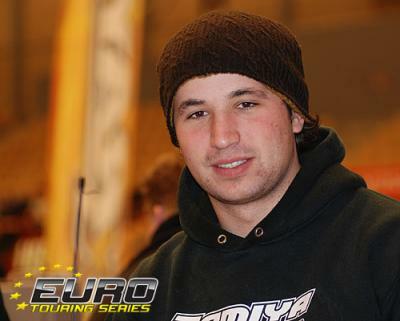 Tamiya Factory driver, and 2004 IFMAR World Champion, Marc Rheinard from Germany is just one the big name racers to have confirmed his entry for round 2 of the Euro Touring Series that takes place on the 14th – 16th of March in Vejle, Denmark. 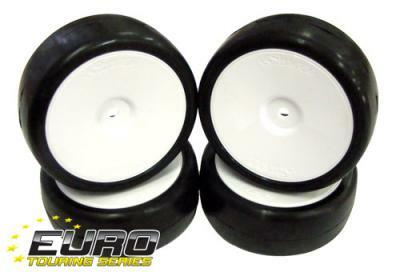 Running in the modified class he will be joined by other mod entrants that include 2008 DHI Cup winner Viktor Wilck, HB team driver Toni Rheinard as well as super quick locals Steen Graversen for Kyosho and Jonas Kaerup racing for HB. With more big names expected to enter, we will keep you informed when we find out more. Find out more about the ETS Series by going to the official site. 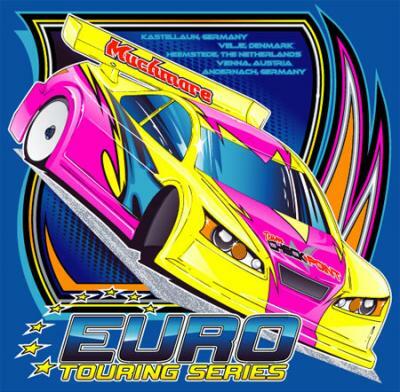 The organisers of the upcoming round of the Much More backed ETS (Euro Touring Series) in Vejle Denmark, which will be run from the 14th – 16th of March, have confirmed that the handout stock motor for the event will be the Team Checkpoint Money 19T Spec Motor. This is a great spec motors and thanks to series sponsors Team Checkpoint you will get this as part of your entry to the Danish event. 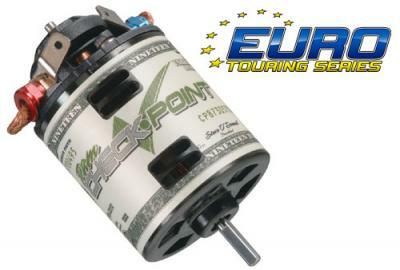 The series organisers have also confirmed that this same motor will be used at the Dutch round of the ETS in Heemstede, which takes place on the 11th – 13th of April. Entry for ETS round 2 in Denmark is now open and you can sign up by going here. The second round of the Much More backed European Touring Series will take place next month, the 14-16th of March, in an indoor hall in Vejle, Denmark. 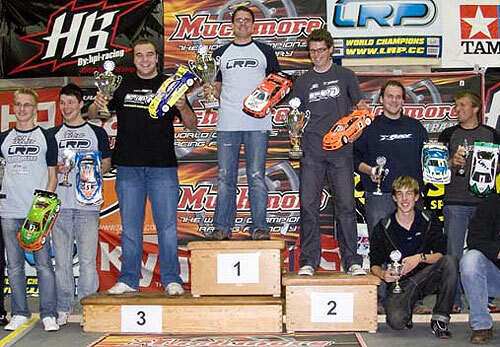 After a successful first round that was run alongside the International Speed Weekend in Germany last October, the series goes into its first stand alone event, and the first of 2008. Entries are currently open for the event with a maximum of 110 racers allowed in stock class and 100 racers in modified. Closer to the event we will announce the names of some top International racers that will compete at the event, until then be sure to get your race entry in straight away. For more information about the event and where it takes place go to the Series page on our site here. Racers can enter round 2 of the ETS by doing so at rcracecontrol.com. The first round of the European Touring Series took place in Kastellaun, Germany and was run alongside the International Speed Weekend. Even though the modified class pole position went to Danish racer Steen Graversen the win went to Finnish Team Associated racer Juho Levanen, who now leads the series after 1 round. Juho came back from a poor 2nd final result where he only finished 8th to take the win in the final round and take the overall just ahead of Kyosho driver Steen Graversen who now lies 2nd in the overall standings. In 3rd spot it was French Xray team driver Cyril N’Diaye who wasnt affected by the huge amounts of pressure piled onto him from current World Champion Andy Moore, who races for Hot Bodies. 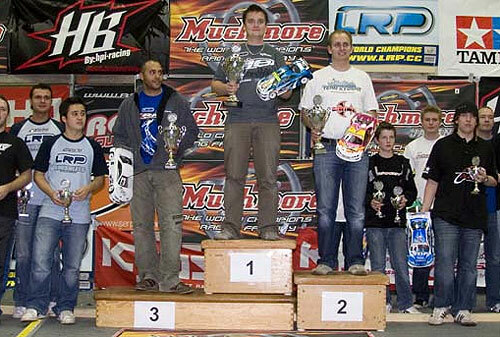 In the stock class the first round, and now the series lead, went to Alexander Stocker. The German Hot Bodies driver was able to take two round wins to secure the race win in front of his fellow countryman Bastian Hennig in 2nd, racing for Xray. In the 3rd spot was another Xray, that of Meik Niemann while Tony Streit piloting a Hot Bodies Cyclone is now lying in 4th with 4 more rounds left to be run. Full results from round 1 can be found here.